Free up your team to focus on your guests with innovative POS, handheld, and kiosk technology. Keep your kitchen running at full speed with KDS, inventory, and multi-location menu management. Engage guests where they are with online ordering, loyalty programs, and gift cards. Simplify your back office with integrated payroll, labor, analytics, and payment processing. Access all of the applications you need from accounting to inventory management. Toast is designed for restaurant success. Customize Toast to fit the needs of your restaurant type. Deliver amazing guest experiences in a fine dining restaurant with a full technology suite. Turn more tables and increase revenue with a single platform designed for casual restaurants. A platform designed to increase throughput in high-volume fast casual environments. Serve patrons faster and reduce risk with an intuitive POS built with bars in mind. Engaging digital experiences that will turn every guest into a regular customer. A reliable, secure technology partner for multi-location restaurant groups. Learn how our customers use Toast to power their restaurants' success. Tools, tips, and templates to help you run at restaurant speed. Get inspired by bite-sized content for restaurants. How Toast features, functionality, services compare to competitors. Are you a Toast customer looking for product support, knowledge base articles, training, and more? There's something about teamwork that gets us so excited and so frustrated at the same time. Sometimes, it seems like we have a love-hate relationship with the very concept of being a team. Maybe it’s hardwired into our genetic code for survival, but human beings have worked together since the formation of society, helping each other and pulling together for the common good. Granted, our motivations have changed over the centuries somewhat, but we still feel the need to come together for the common good of a restaurant's brand. Most restaurant teams do benefit from working collectively. However, the biggest obstacle is that we have so many misconceptions about teamwork that actually make the team not work. 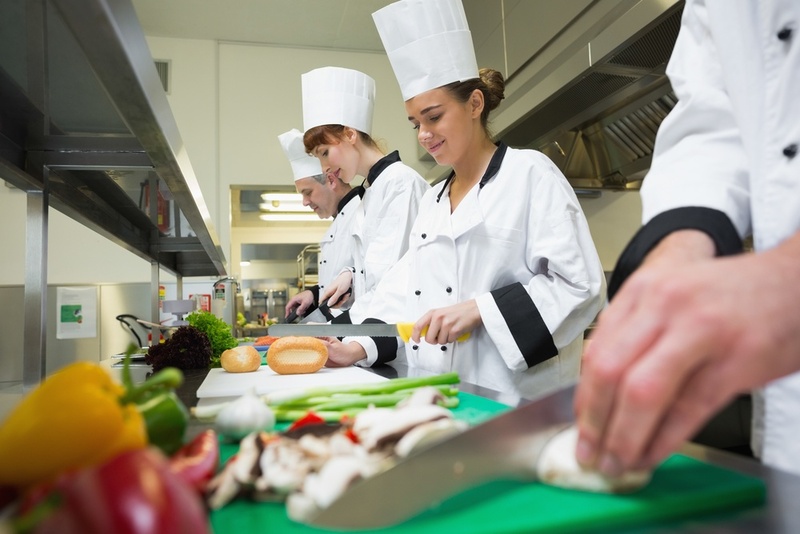 Want to build the perfect restaurant staff? Download Toast's Restaurant Hiring & Staffing Guide! Truth: Teams are a collection of personalities. 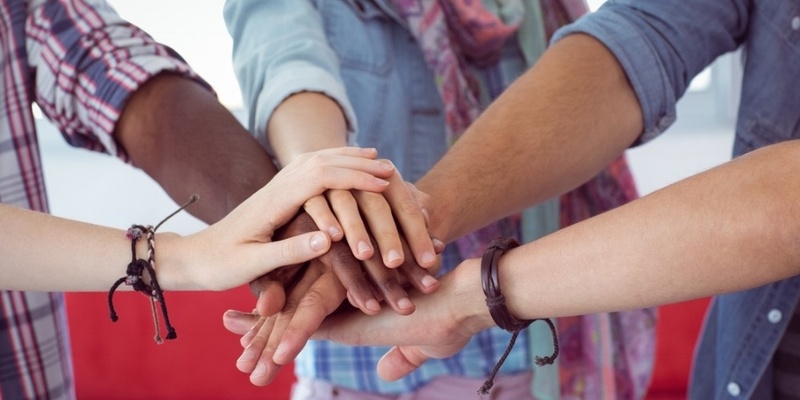 You have heard this before: There is no “I” in team! A lot of people hold onto this fantasy that working on a team is a magical experience and everyone gets along. While there is truth behind the statement there is no “I” in team, there is actually a “me." Understand that teams are a collection of individuals. Individuals have different personalities. Think of team personalities like spices in a recipe. Some flavors really work well with others. They actually harmonize and accept each other, often elevating the flavor profile higher than could ever be achieved on its own. And then some spices really do not go together - especially if the spices are very aggressive on the palate and bold. Ergo, building a team is very much like creating a recipe. You have to be very careful about the personalities that you put together on a team. Too many strong or dominant members and you will have a team where basically everyone wants to be leader. The opposite can be just as debilitating - too many low dominant members sit there while no one steps up to take the lead. It’s definitely a balancing act. Truth: Conflict is energy and can be used as a resource. Conflict has really gotten a bad rap. Perhaps maybe because our perception of conflict is that is has to be in your face and loud. Most tend to think that in a conflict there is a winner and a loser - that's not necessarily so. Conflict is really not that bad, if done properly. Conflict can promote growth, change, and brainstorming of solutions - if (and only if) you maintain a level of respect. It’s okay to have divergent ideas that differ from the rest the team. It’s okay to speak up and voice your opinion if you think there might be a better way. What is not okay? Being disrespectful to the other people on your team. You see, respect has to exist if a team is going to remain intact. Respect is one of the main ingredients to real teamwork. Remember this: you do not have to like everyone in your team. However, you must respect them. A telltale sign of disrespect is the classic passive-aggressive behavior. These people act like the part of the team and then subversively work against it. They undermine the team agenda with procrastination and gossip. When you find these people within your team, the best thing you can do is remove them from the team because they violate a core ingredient to teamwork: trust. Trust is the social glue that holds a team together. Without trust, you don’t really have a team - just a collection of free agents all out for themselves. The Beatles told us that “all you need is love”. For a team, what you really need is respect and trust. Truth: Keeping momentum for a team is the real challenge. Putting a team together is easy. Just grab some people, call a meeting, and declare them a team. The real work comes when you try to get the team to work together toward a common goal and mission. Getting a team to pull together has at times been described like herding cats. That is why you need to be very selective about who you allow on a team. The biggest role that an owner, operator, or chef has is selecting who they allow to be on the team. There must be a clearly-defined and methodical process for team selection. The last thing you want to do is pull a team together based on emotional reaction or desperation. The panic hire is a classic example. You lost some people on your team and you are desperate to fill the position. You place an ad for the job and very few people apply. Your anxiety grows and grows. Finally, someone comes in to apply for the job and you hire them right there on the spot. Big mistake. If you’re going to just allow anyone on your team that meets the requirements of breathing, then you should also hand over keys to your car, your house, and let them do whatever they will with your personal property. It’s the same thing really. Indiscriminate hiring will cause more disruption to your brand and your profits then you realize. Always screen the team. Always. Truth: It’s the team collectively that makes or breaks the team. Leadership is indisputably important to the formation and direction of the team. However, it’s the strength of the individuals on the team that get the results. Sure, a leader can take credit for bringing the team together. However, it’s the team members themselves that do the work. Look back on the famous Chicago Bulls when Michael Jordan was on the team. Phil Jackson definitely had a major role in the winning of championships, but it was Michael Jordan that put those points on the scoreboard! The two things that contribute to an outstanding team member are: skills and character (or core values). Skills get you into the game and character keeps you there. There are a lot of incredibly talented people that work in the restaurant industry, yet they don’t last long. Why? Because they don’t have the character to sustain playing the game at high levels. Too many times owners and operators are impressed by skill alone. You need to make sure the person has character and heart to be able to maintain a spot on your team. Myth #5: All Work is Best With Teamwork. Truth: Sometimes team work can slow down the process. While working together as a team is advantageous majority of the time, there might be times when you need to allow someone on your team to go rogue due to the bureaucratic nature that teams sometimes create. Waiting for consensus and everyone to “get on board” can be a damper on results. Sometimes, you need to allow highly skilled members of your team to function outside the framework of the team. Now, they still have to function to the standards of respect and trust, or the entire team dynamic will suffer. You’re just sending them out on more of a reconnaissance mission. Keep communication lines open and report results back to the team constantly. Lack of communication flow is a death sentence for restaurant teamwork. It can honestly be said that poor communication inhibits teams from reaching their peak. It keeps them in a perpetual orbit of mediocrity. The flow of communication must go back and forth among leadership, to the team, within the team, and from the team back to leadership. Too many restaurants just communicate one way. When you communicate in only one direction, you’re basically telling the team two things: you don’t respect them and you don’t trust them. There are a lot of myths about teamwork and honestly - most are preconceived notions, opinions, and beliefs we’ve been handed throughout our career in the restaurant industry. You cannot move to the next level if you still are keeping a foot on the level below. It’s time we empty our cups. What are the interview questions you should ask to ensure that you hire the right people for your restaurant? Subscribe to stay up to date with the latest restaurant news and trends! DISCLAIMER: All of the information contained on this site (the “Content”) is provided for informational purposes only and not for the purpose of providing legal, accounting, tax, career or other professional advice. The Content is provided “as-is” without any warranty of any kind express or implied, including without limitation any warranty as to the accuracy, quality, timeliness, or completeness of the Content, or fitness for a particular purpose; Toast assumes no liability for your use of, or reference to the Content. By accessing this site, you acknowledge and agree that: (a) there may be delays in updating, omissions, or inaccuracies in the Content, (b) the Content should not be relied upon or used as a substitute for consultation with professional legal advisors, (c) you should not perform any act or make any omission on the basis of any Content without first seeking appropriate legal or professional advice on the particular facts or circumstances at issue and (d) you are solely responsible for your compliance with all applicable laws. If you do not agree with these terms you may not access or use the site or Content. Talk to a restaurant expert today and learn how Toast can help your business.